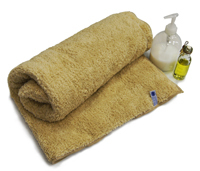 Our Shower Towel is super absorbent and soft to the touch, making any bath time more intimate. Keeps you warm, comfortable and dry! The best choice at the gym, spa, hot spring, or at home. Keep dry after each use. 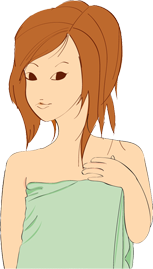 Care for your shower towel by drying them after each use. Wash your shower towel periodically with regular pH neutral detergents. This will help you preserve the life of your shower towel.